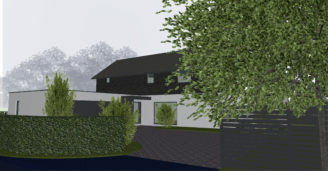 Herefordshire Council’s Planning Committee today approved our application for a sustainable replacement house in the village of Kingsland. 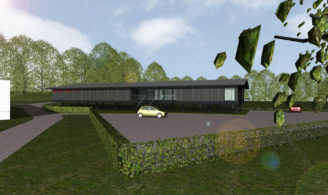 The design was inspired by the village’s notable ‘black and white’ timber framed houses, with a contemporary re-interpretation of this iconic building typology. Construction is due to commence early 2019. Planning application submitted to Shropshire Council for our scheme to extend and redevelop an existing office and commercial facility for classic Jaguar parts supplier, SNG Barratt Group. OHA worked closely with the company to realise their vision for a modern, efficient and interactive workplace. 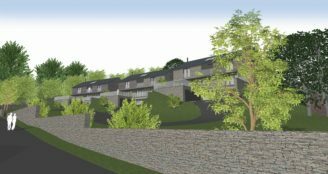 Planning application submitted to Herefordshire Council for our new scheme for three hillside houses at The Walled Garden, Bodenham. 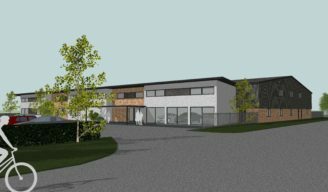 We are delighted to announce that planning permission has been granted for our new clubhouse scheme for Hinton Football Club! The scheme was carefully developed to meet the club’s current and future needs, while working with Herefordshire Council to respect the sensitive setting on the bank of the River Wye, adjacent to the grade II* listed waterwork museum.